Water protectors were still occupying the entrance to the Alton Natural Gas Storage Project site in Fort Ellis, N.S. 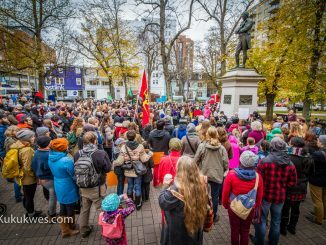 four days after a Nova Scotia judge granted the company’s request for a temporary injunction against two of the water protectors and their supporters. They were told by Alton security staff early Thursday morning they would have to leave the site entrance by 5 p.m. In an email, a spokeswoman for Alton confirmed there was an informal agreement for the “protesters” to leave the area by the end of day Thursday. 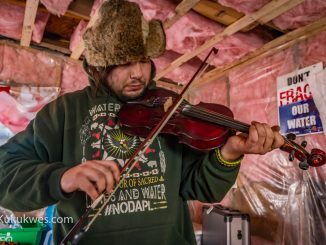 Several supporters helped with moving personal belongings from the site throughout the day however, a couple of the water protectors remained at the site overnight. On Friday morning, approximately 20 people gathered in a circle at the Alton site entrance to take part in a ceremony to mark World Water Day. “We didn’t see anybody at five o’clock. 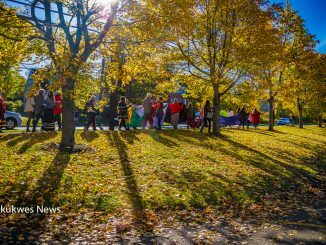 We don’t know what’s going on as far as that order goes,” Michelle Paul, a Mi’kmaw water protector, said following the ceremony. Paul said the people who remain at the straw bale house are still deciding on what to do next. “Right now, we’re still speaking amongst each other, the women and the grandmothers, to reach a consensus to move forward,” she added. 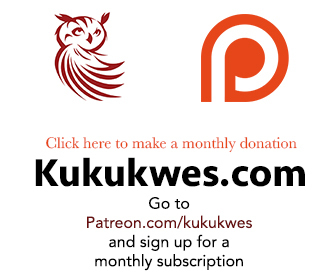 On Monday, a Nova Scotia Supreme Court Justice granted Alton’s request for a temporary injunction against the water protectors occupying the entrance to the company’s facilities near the banks of the Shubenacadie River. Justice Gerald Moir ruled the water protectors cannot block Alton staff from moving heavy equipment onto its property. 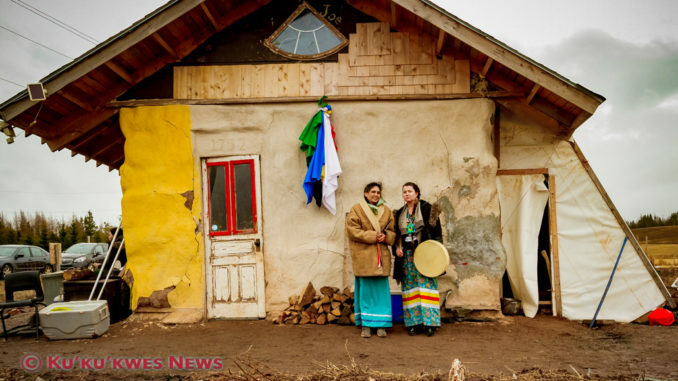 Alton filed for both a temporary and permanent injunction in Feb. against the water protectors following a tense exchange between the company’s staff member and one of the protectors that was posted on the websites, Facebook and YouTube. The company named Dale Poulette and his partner, Rachael Greenland-Smith in its court action. Poulette and Greenland-Smith had been living in the straw bale house that was constructed behind the entrance gate to Alton’s property near Stewiake, N.S. when the court injunction application was filed. 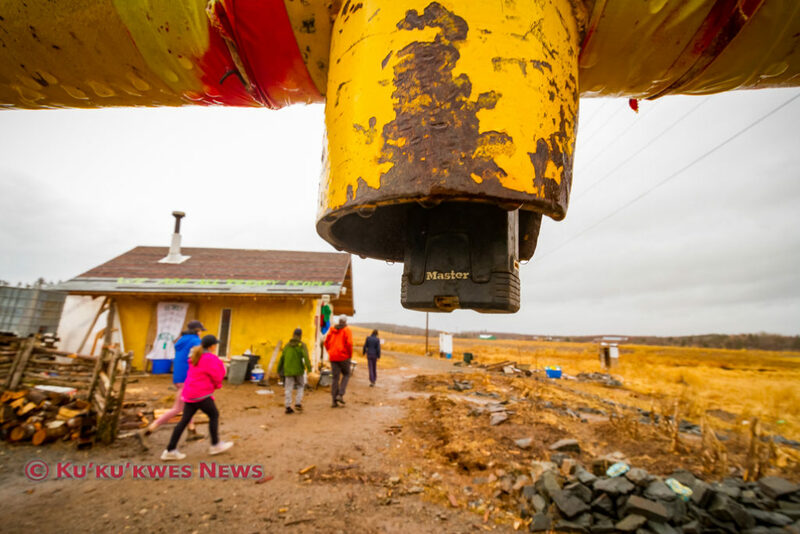 Alton argued in court that it needed to move heavy equipment onto its property to make repairs to its facilities following a power outage that happened in January and the water protectors were blocking the company from entering the site. The lawyer for Poulette and Greenland-Smith argued that Poulette has Aboriginal and treaty rights to occupy the land to protect the river. However, Justice Moir ruled that while Poulette has a treaty right to the river, he saw no evidence to prove he had rights to occupy the land. James Gunvaldsen-Klaassen, who represents Poulette and Greenland-Smith, said his two clients are abiding by the temporary court injunction. “As I understand it, they’ve cleared out their stuff. They are no longer there,” Gunvaldsen-Klaassen said on Friday. 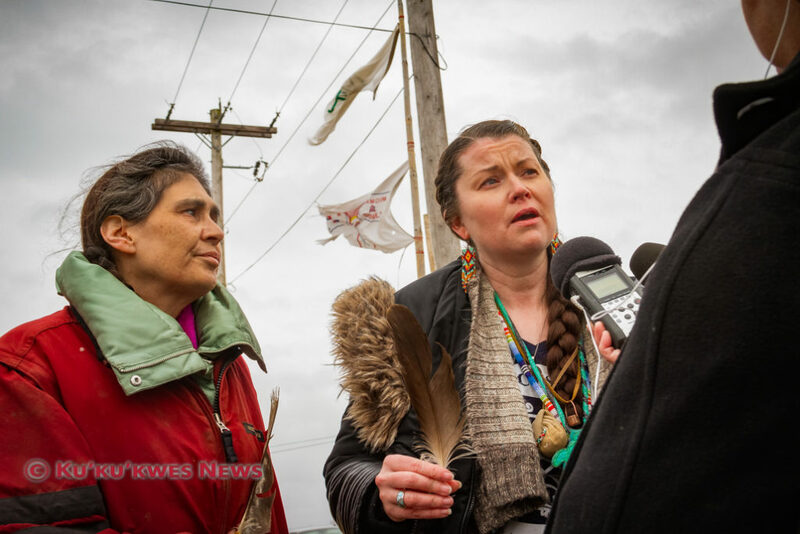 Both Poulette and Greenland-Smith were not present for the water ceremony that was held at the Alton site on Friday. 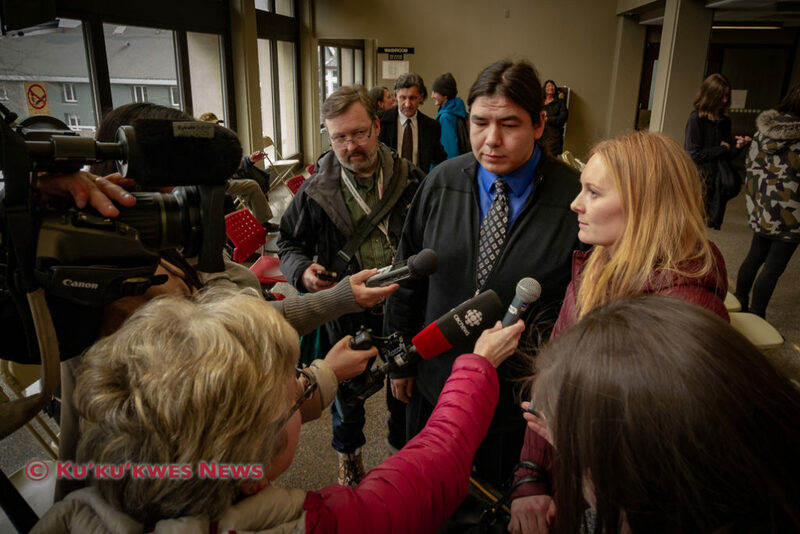 Gunvaldsen-Klaassen and the Alton spokeswoman both confirmed the two sides were working with the court to finalize the terms of the Justice Moir’s order for the temporary injunction. Part of that order includes the company’s offer to provide space on its property that can be seen by the public for the water protectors and their supporters. The wording of the temporary court injunction is expected to be finalized next week, Gunvaldsen-Klaassen said.